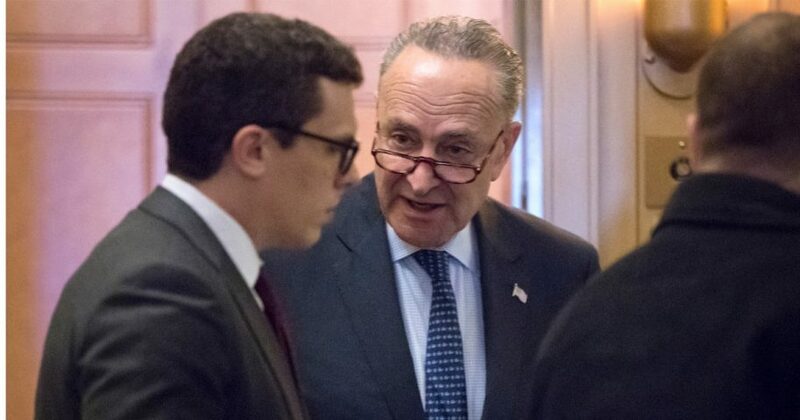 A top aide to Senate Minority Leader Chuck Schumer was quietly forced to resign in November over improper sexual relationships with junior staffers that made some of his colleagues uncomfortable. Matt House announced in November that he was leaving Schumer’s office, where he had served as communications director for the past six years. Prior to that, he worked for Joe Biden’s 2008 presidential campaign. Speculation swirled about why House left his prestigious role, especially given that he did not transfer into another high-profile gig. But according to The Huffington Post, House was forced out because of inappropriate sexual relationships with Schumer staffers. Remember the “toxic masculinity” campaign? Well. This is what “Real-Toxic-Masculinity” looks like. HuffPo reported the story Friday night, while all eyes were on Virginia Gov. Ralph Northam, a Democrat who admitted to wearing blackface or a KKK robe in a 1984 yearbook photo. “Upon learning that he had inappropriate encounters within the office and that it was making some staff uncomfortable, he was asked to leave,” a spokesperson for Schumer told HuffPo. House also acknowledged that he had behaved inappropriately, attributing his problems to excessive drinking. Was House right to resign over this? 3. Matt House sent this statement re the allegations in my story and in response to the statement from Schumer's office. “I deeply regret the mistakes I made on the number of occasions when I had too much to drink, and I apologize to anyone who was affected by my behavior,” he said. “I have always respected all of my colleagues and I was horrified to learn that I made anyone feel uncomfortable. I would like to know if there are any settlements involved with the inappropriate behavior of Matt House and will the taxpayers be responsible to pay for any settlements?